Accessories tend to set the tone for an outfit, it adds additional sparkle to your look while making a style statement. Apart from your designer handbags and high heels, key accessories from luxury houses have also attained their statuses as objects of desire. The design possibilities might be endless, but there are only a few key designs that would stand the test of time. If you like to keep things simple yet classy, scroll through our list of iconic luxury bracelets and cuffs for the perfect fashion item to elevate your look. 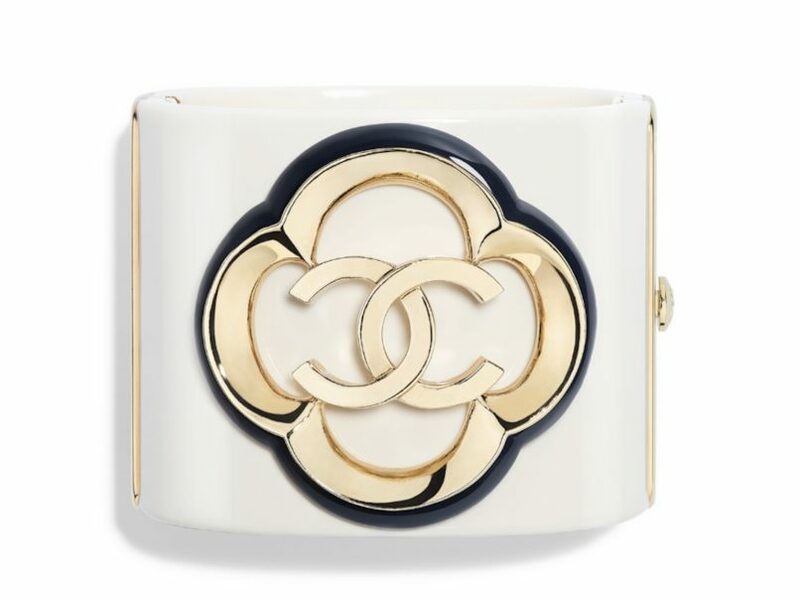 The Chanel cuff has maintained its iconic status since its creation. Since then, it has been remade in a myriad of materials and textiles, all of which are embellished with various precious stones and pearls. If you’re looking for an investment piece, we recommend something timeless like this resin cuff featuring their signature interlocking double ‘C’ logo. 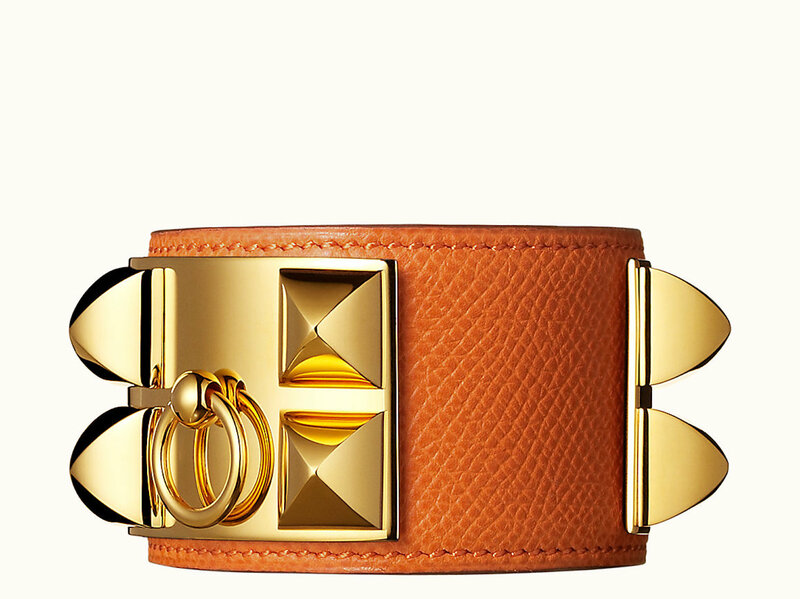 The Hermès Collier de Chien is one of the most well-known statement accessories in fashion. What was initially designed as a commissioned pooch collar for a client’s bulldog is now the brand’s most coveted bracelet. Due to its popularity among other dog owners, the style of the iconic collar has been refashioned into a woman’s belt and then adapted into a cuff. This one features pyramid studs and their signature o ring with a variety of leather and exotic skins to choose from. This ‘CD’ gold toned chain celebrates Christian Dior’s famed logo and was released as part of the spring summer 2019 collection. The piece also comes with an adjustable chain link that features a tag with the Dior signature. 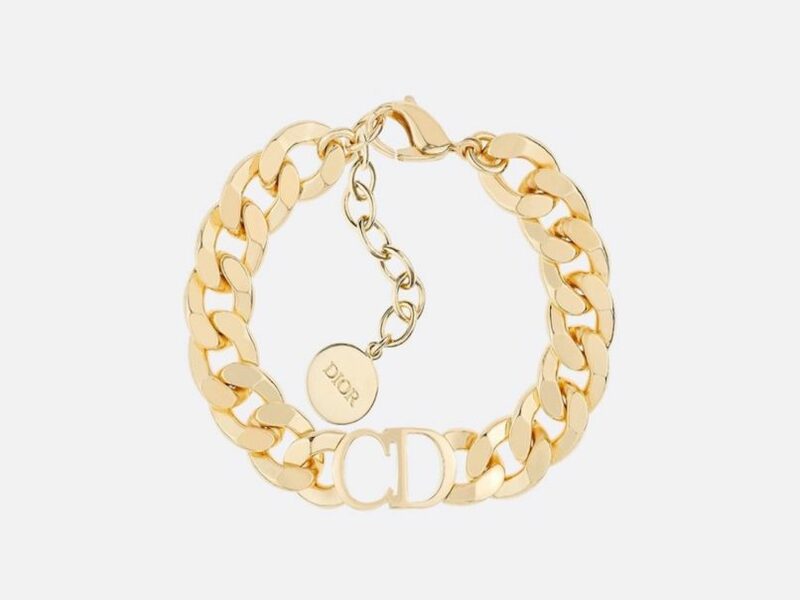 To up your style game, stack this chunky chain bracelet other thin cuffs or gold rings. 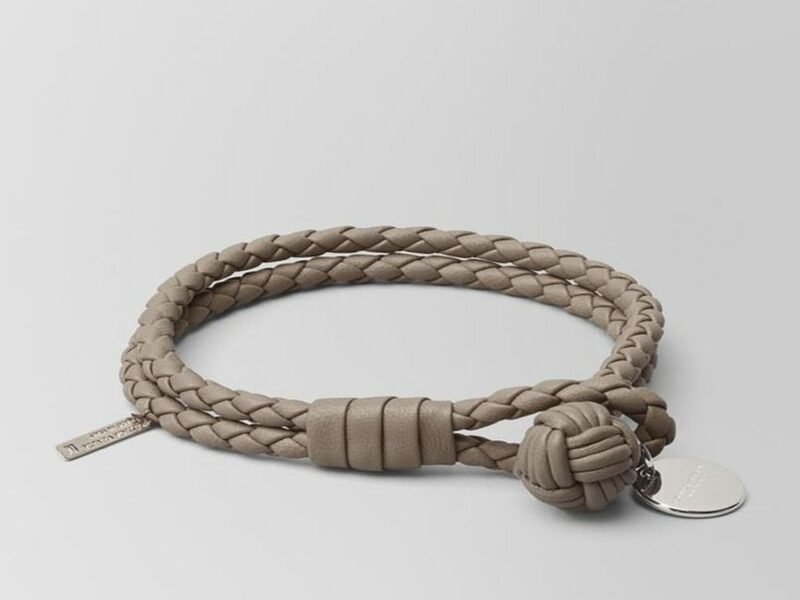 The Bottega Veneta Intreciatto nappa bracelet is a timeless classic that has proven to be popular with both men and women. Invented in the 1960s, the brand’s signature intreciatto weaves are known to prolong the durability and lifespan of its leather products – making them great investment pieces. Its versatile and understated design earns its place on our list. 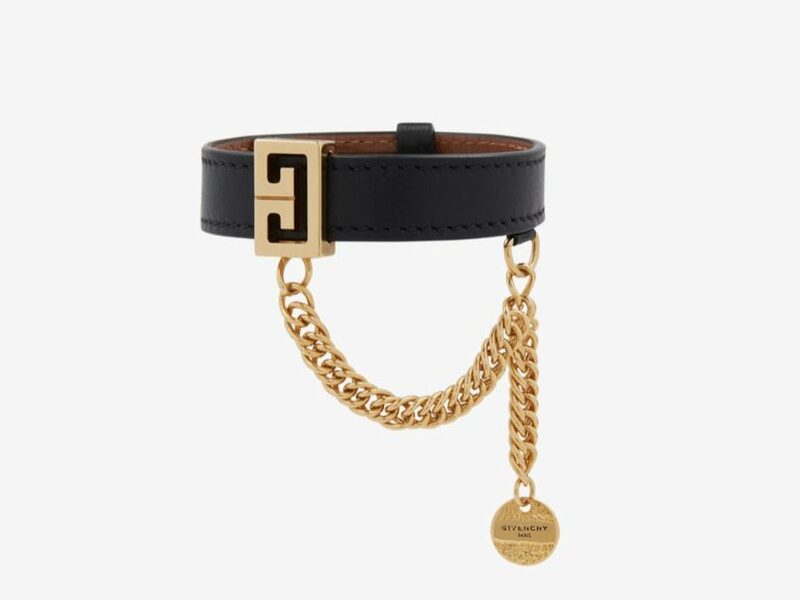 If you’re a fan of vintage-looking accessories, the Givenchy chain bracelet would be a great addition to your stash. This robust looking leather number is accompanied with a gold flat chain featuring the house’s classic logo hardware. Its dark gothic aesthetics would add sophistication and edge to any outfit. 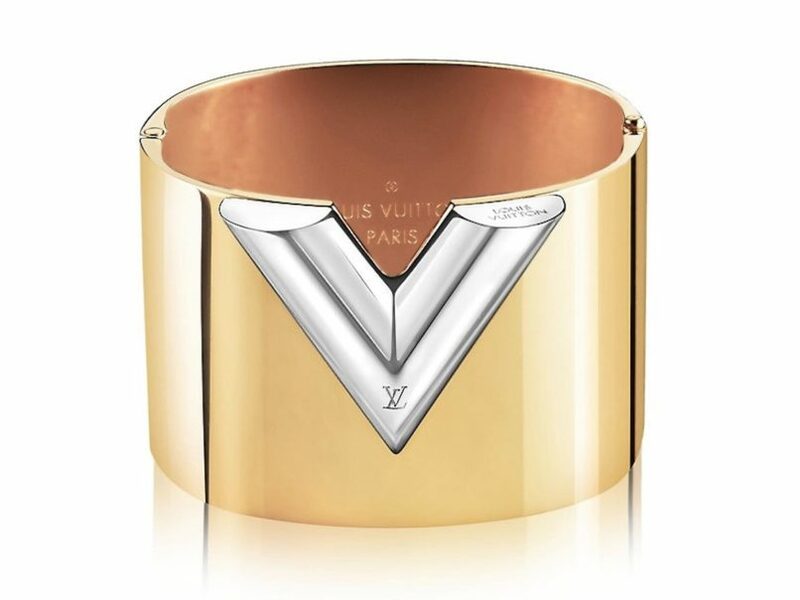 The Louis Vuitton Essential V cuff is designed with a gold surface and a silver V-shaped accent. It debuted on the runways of the French fashion house’s during their Fall 2014 collection show and has since become an iconic symbol of the brand. Pick this if you’re going for a classy look that could take you from day to night.